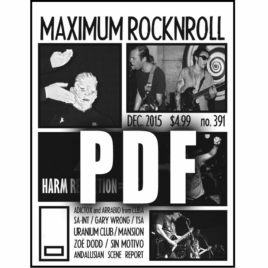 This is a 47-page PDF download of Maximum Rocknroll magazine, issue #1/July-Aug 1982 — yes, our very first issue! 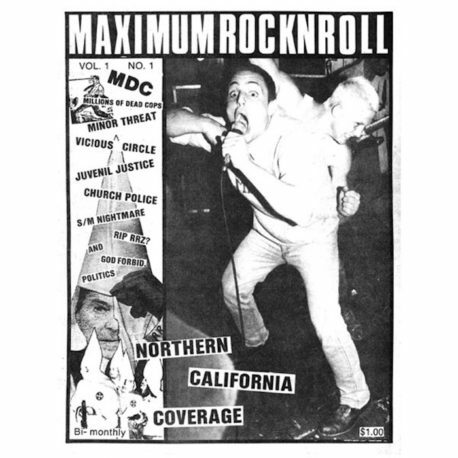 It features MDC, Minor Threat, Northern California scene reports, news, and more! 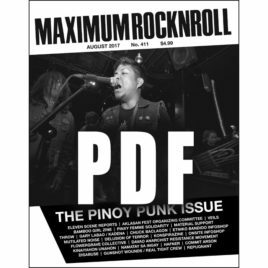 Read more about this issue HERE. 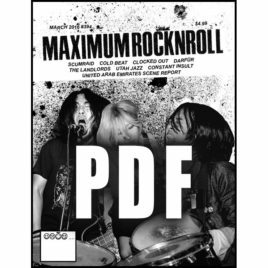 We’ve done our best to clean up these old issues while keeping the “newsprint” look, and to keep the file size small while still being readable. 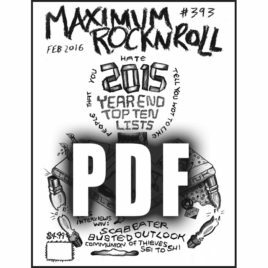 If you have any trouble downloading or reading this file, please contact webzine@maximumrocknroll.com.